Charlie is an experienced civil litigator in complex litigation. 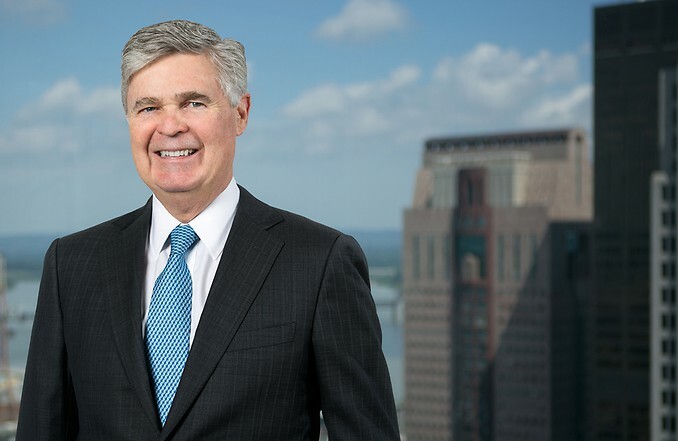 Preceding his transition to of counsel, he was Middleton Reutlinger’s managing director for over 25 years and has been with the firm since 1972. Charlie’s practice involves a wide variety of civil litigation including business litigation, construction litigation, family business, real estate law (eminent domain), bankruptcy and creditors’ rights, taxation and valuation disputes, governmental and regulatory law (environmental), insurance company rehabilitation, insurance coverage disputes, estate planning, estate, trust and fiduciary litigation. Successfully defended the board of trustees of largest self-insurance fund in Kentucky in the collapse of the fund. He participated in the bench trial resulting in approval of contested $5 million settlement agreement regarding the rehabilitation of the fund. He is currently defending the sponsoring entity in a multi-self-insurance fund collapse. Recently obtained a favorable jury verdict setting aside transfers of millions of dollars to a charitable organization that had taken advantage of an elderly person diagnosed with dementia. The trial resulted in the avoidance of the transfers to the charitable organization returning the funds to the decedent’s estate. Charlie has settled/resolved numerous family trusts and closely held business disputes and litigation matters. Charlie has extensive experience representing real estate and business owners in eminent domain and inverse condemnation matters involving both federal and state government agencies. He has obtained verdicts and settlements for a full range of clients including owners of commercial property, residential property, farmland, industrial property and special use property. His most recent jury trials have resulted in obtaining a substantial jury verdict for a cemetery and substantial jury verdicts for farmland and commercial property. His experience in environmental litigation has included Superfund litigation resulting in clients receiving de minimis settlements, advising and defending chemical companies concerning class action complaints about noxious orders emitted from processes, advising and assisting clients regarding permitting and compliance requirements involving air quality emissions and waste water discharge, representing clients in litigation and in administrative actions regarding remediation and clean-up of petroleum products and hazardous wastes. His experience focuses on the handling of large construction contract claims of utility, manufacturing and chemical plants, commercial shopping centers, and other real estate complexes. Such claims include resolution without litigation of multi-million dollar cost escalation claims, negligent design, contract buy-outs, delay and acceleration claims and other construction disputes. Charlie has presented such cases in both civil litigation and before arbitration panels.